Wakanda teeters on the edge of civil war and only one man stands in it’s way. A king, a champion, a hero, the Black Panther. Can the orphan king win back the hearts of his people and save his beloved homeland before it destroys itself from the inside out? World building, political intrigue, and great action, those are just a few things that you’ll get when you pick up Black Panther #1. I just wanna start off by saying that I’m a huge Black Panther fan. When Black Panther #1 was first announced my hype went through the roof, especially given the fact that such an acclaimed writer Ta-Nehisi Coates would be taking the helm. Coates is a correspondent for The Atlantic, MacArthur Genius, National Book Award Winner, and arguably the most decorated writer ever to write for Marvel. 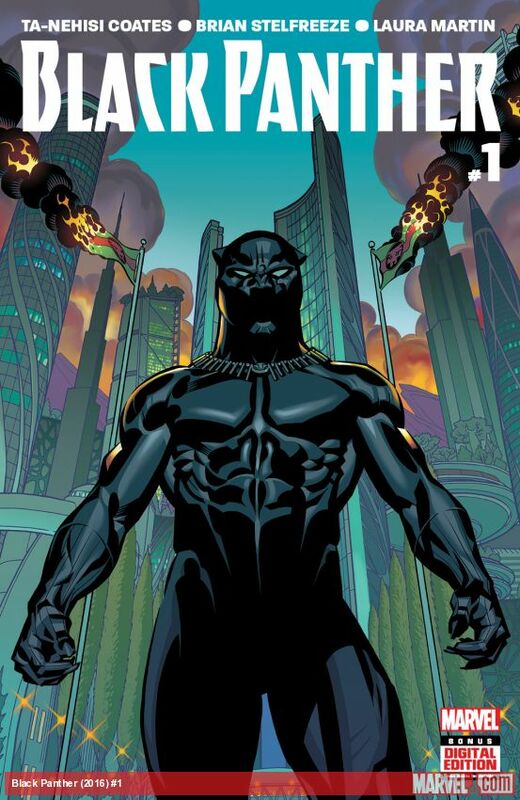 Given his experience Coates’ is the perfect choice to write the king of Wakanda. I’ve been reading Black Panther for a long time and throughout his appearances we’ve seen T’challa struggling with dueling roles. He’s T’Challa the king, T’Challa the avenger, and T’Challa the diplomat. 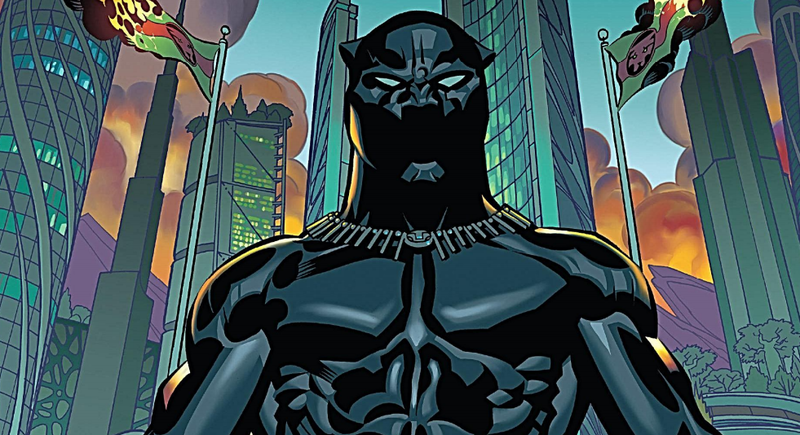 Coates brings a new perspective with this series by showing us T’Challa the man. We get a great look inside his head. He’s been through so much through the years. T’Challa is the type of person willing to sacrifice everything for his country and his people, even if that means distancing himself from his friends and family. 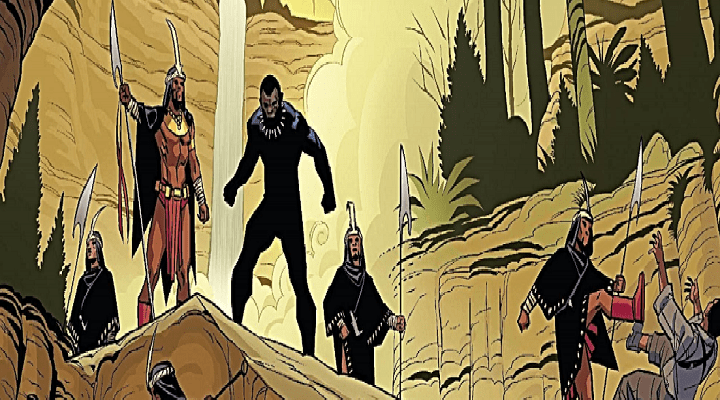 In this issue a new threat begins a plan to throw Wakanda into a new era. 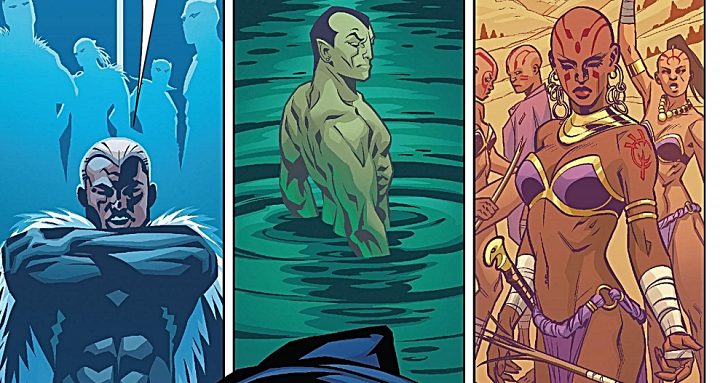 As the issue progresses we get to see a lot of the rich history and traditions of Wakanda. As a nation Wakanda has always been depicted as one of the most technologically advanced countries in the world while at the same time still being steeped in traditions and tribal customs. 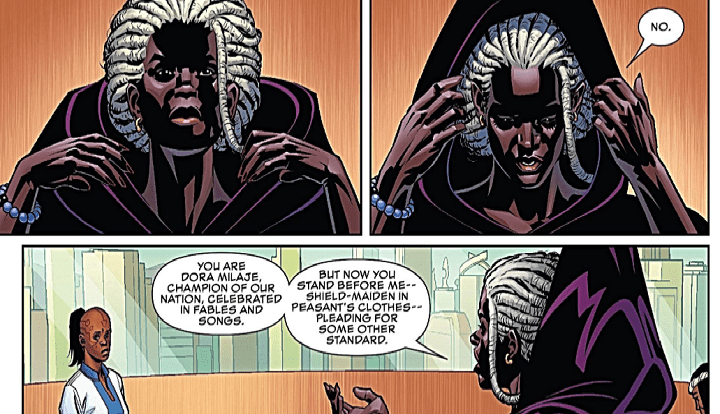 T’Challa’s stepmother is a nice focal point to illustrate Wakanda’s traditions. She also shows that despite being such a traditionalist nation it is also extremely progressive compared to the rest of Africa. There was so much female empowerment in this issue, and I’ve gotta say it was a nice surprise. Throughout this whole issue T’challa is torn between his role as the king but also his obligation to his family as shown by the end of the issue when it is revealed that T’Challa has his younger sister Shuri in stasis and is trying to heal her. The tension is high as some of T’Challa’s allies have turned against him spreading contempt and arming themselves for a battle against him next issue. So I think that’s enough speaking as a fan, time to start speaking as a reviewer. This is an issue 1 so a lot of you might see this and think hey this could be a good jumping on point. I honestly have to say this is not very new reader friendly at all. They reference a lot of past events in Black Panther’s history, so if you are not familiar with Black Panther at all chances are you will be totally lost. Also I’m a huge novel fan as well as a fan of comics so I’m used to wordy descriptors and dialogue, but if you’re not you might view this as a wordy talking heads issue. If that’s not your thing you might be turned off by this and that’s understandable. There isn’t that much action in this issue either but personally I enjoyed all the set up of all the internal conflict. I thought the art was fantastic. It had a very tribal feel to it. It really fit the culture and vibe of Wakanda. All the tech stuff was beautiful too. Pretty much a perfect marriage between the mystic and technological. The colors helped to paint almost a Utopian feel to Wakanda and its capital city. Probably the most beautiful part about his artwork is how it showed Wakanda’s architecture. The art made Wakanda into a character on its own very much like how in Daredevil’s comics Hell’s Kitchen is a character in itself. The coolest part was seeing these traditional looking palace on the outside with all this advanced super tech on the inside. After seeing all that I thought to myself wow this place is amazing no wonder T’Challa is fighting so hard to protect it. My main complaint with the art is the lack of detail when it came to the eyes and facial expressions. If they had added a little more detail to the facial expressions it would really help sell the tension of the situation. As a fan of the character I really enjoyed Black Panther #1. I enjoyed the look into seeing what makes T’Challa tick. You get a really good vibe for Wakanda. What it is, its traditions, customs, and the role of Black Panther. We even get a good look at some of T’Challa’s powers in action. Seeing the culture of Wakanda and some of the roles in society was fascinating. I am really hooked by all the political intrigue and tension placed on T’challa’s shoulders, but new readers will probably be extremely lost and it may be a bit too wordy for some. In the end I have to say I recommend Black Panther #1 to any Black Panther fans, but I can’t safely recommend it to new readers. 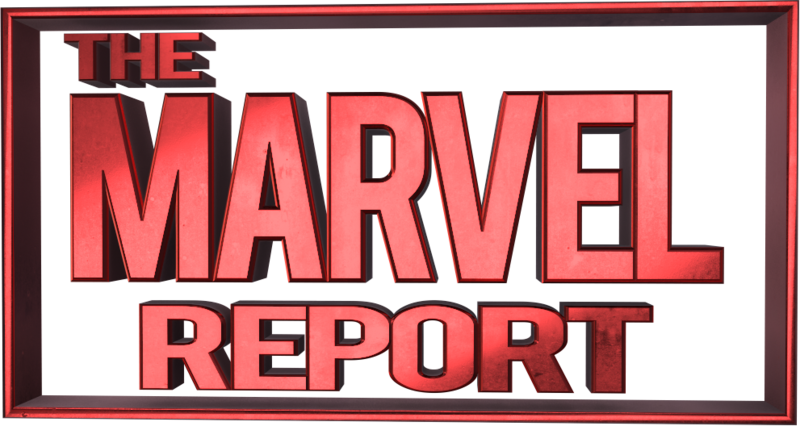 REVIEW: Spider-Man #3 – Um, I’m Smarter Than You?